We need to stay focused on what God is doing and and what He wants to do on the earth. He longs to download His plans and purposes to the ones that will treasure His commands. Holding His Word dear to our hearts is how we truly live the life He created us for. In verse 3 we get some insight on how to spread the Good News. 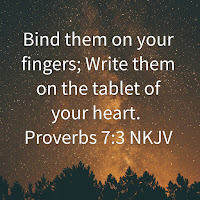 It encourages us to bind the Word on our fingers and write the Word on the tablet of our hearts. We already know that whatever is in our heart is going to come out of our mouth. His Words should be imprinted deeply on our hearts. 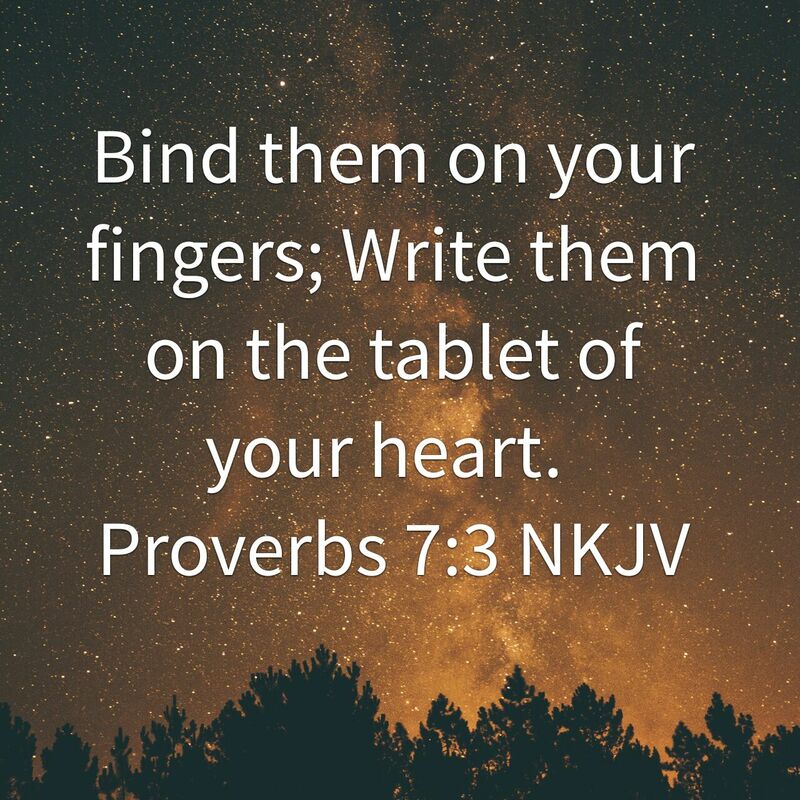 When you bind the Word to your fingers you place His impression on everything you touch. Imagine a world where everyone is in sync with their divine plan and all day long they just keep spreading this virus:the God virus!